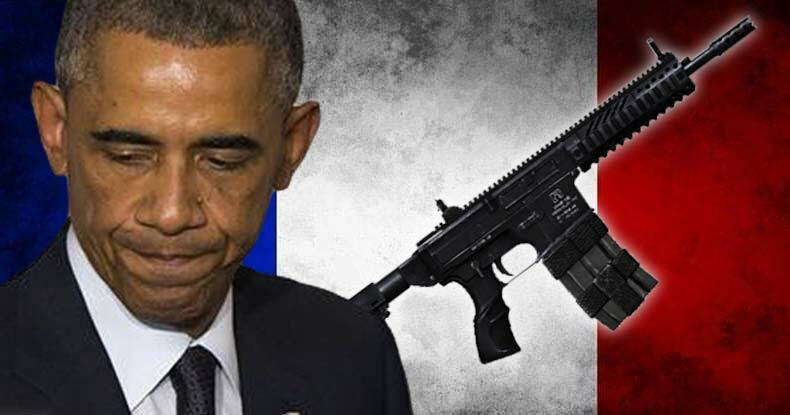 Yet more fallout from the government’s notoriously ill-conceived “gunwalking” scheme as Judicial Watch found one of the guns used in the Paris terror attacks of November 13, 2015 appears to have been sold illegally, without repercussion as part of Fast and Furious. According to the watchdog group, a paper trail left, in part, by a 4473 form — which tracks a firearm’s ownership history through serial numbers and other means — traced the weapon to a Phoenix seller who had previously been caught selling illegal weapons. Evidencing a hallmark of the Fast and Furious scheme, the unidentified Phoenix seller had been caught twice previously for federal firearms violations — “for selling one weapon illegally and possessing an unregistered automatic” — for which no charges or prosecution ever developed. In fact, according to unidentified and unverified “law enforcement sources involved with the case,” the ATF acted to ensure the seller’s identity and information pertaining to his involvement remained concealed from scrutiny — “kept quiet,” as Judicial Watch sources put it. “Agents were told, in the process of taking the fully auto [mentioned above], not to anger the seller to prevent him from going public,” Judicial Watch says a “veteran law enforcement officer” explained. For those unfamiliar with Fast and Furious, the ATF office in Phoenix devised an ill-fated plan, beginning in 2009, to allow gun buyers — “straw purchasers” for Mexican drug cartels — to purchase weapons and cross into Mexico without interference from agents. Ostensibly, this would allow the ATF to trace firearms to those powerful drug cartels; but whistleblowers and various investigators later discovered the feds made no attempts to follow through in tracking any of the thousands of weapons sold in this manner. Many of these weapons have, however, been tragically linked to crimes against Americans, including the shooting of U.S. Border Patrol agent Brian Terry — killed in a shootout along the Mexican border in 2010. Now, if what Judicial Watch uncovered holds weight, another Fast and Furious weapon has been used against civilians in an horrific way — thanks to the utterly irresponsible, nefarious scheme unleashed by the Obama administration’s feds. As the watchdog group notes, it isn’t entirely certain whether or not the Phoenix seller’s identity has been suppressed by the ATF — the agency putatively tasked with reining in the selling and use of illegal weapons — because of his participation with Fast and Furious. Repeated calls by Judicial Watch to the Phoenix ATF office were never returned. As the group noted, the Los Angeles Times reported previously a weapon intended to be used to carry out an attack last year at a controversial ‘draw the prophet Mohammed’ cartoon contest in Garland, Texas, had been purchased in a Phoenix gun store associated with Fast and Furious. For obvious reasons, considering the ATF and feds never tracked the scheme’s weapons, most of the over 2,000 Fast and Furious weapons have been lost. Apparently, however, the guns have a nasty habit of showing up in rather telling incidents — a weighty responsibility for the U.S. government, considering. It remains highly unlikely those agencies or individual agents will ever be called to task for tragic repercussions from the ill-begotten and scandalous program.